Forbes Travel Guide has named MGM Grand Detroit a Forbes Travel Guide Four-Star Hotel and Spa for the eighth consecutive year. Located between Detroit’s downtown and Corktown neighborhoods, MGM Grand Detroit is the city’s first and only luxury resort-style casino built from the ground up. The property features 400 chic and stylish guest rooms, three signature restaurants including two from Master Chef Wolfgang Puck, the full-service IMMERSE spa and many entertainment offerings. 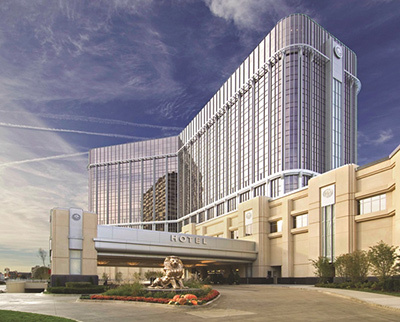 MGM Grand Detroit is the only property in the city of Detroit named to the luxury travel ratings that have been the gold standard in the hospitality industry since 1958.